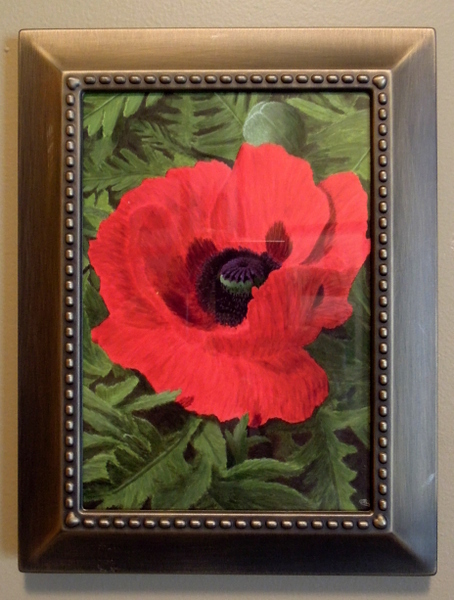 Many years ago before we had a digital camera we made this 3D Hummingbird Hibiscus Flower panel for a neighbour. 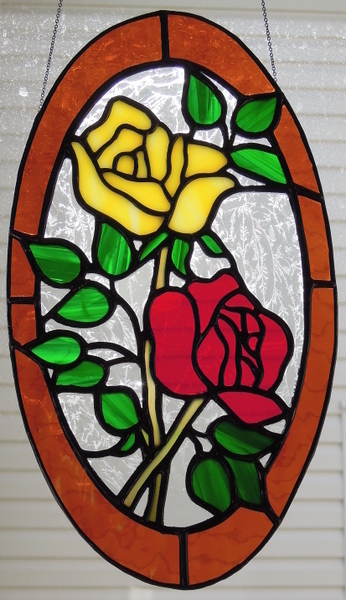 The panel measures 12 inches in diameter, with the circle background being Spectrum’s Iridescent Waterglass. 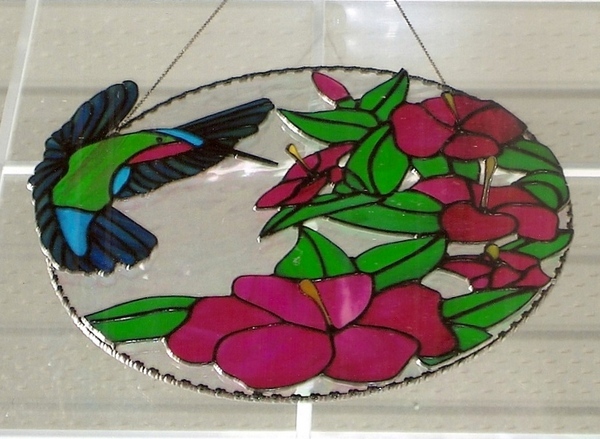 The 2nd layer is the Hibiscus flowers and the 3rd layer the hummingbird and the flower stamens. 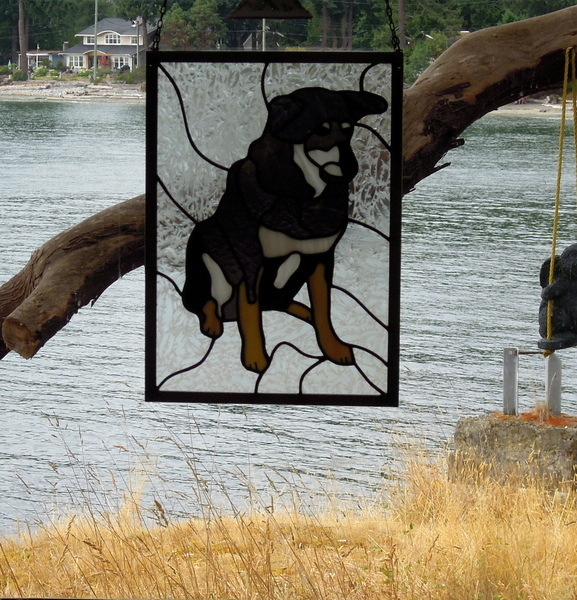 The panel hangs in a transom window over Cindy’s front door facing west, and has provided years of enjoyment for her family and visitors alike. If you check out our first posting titled “Chewie” you can learn about this wonderful dog who passed away several years ago. We showed “Chewie” many times at our markets, unfortunately he fell off a table a few years ago at one of our markets and had to be completely rebuilt. 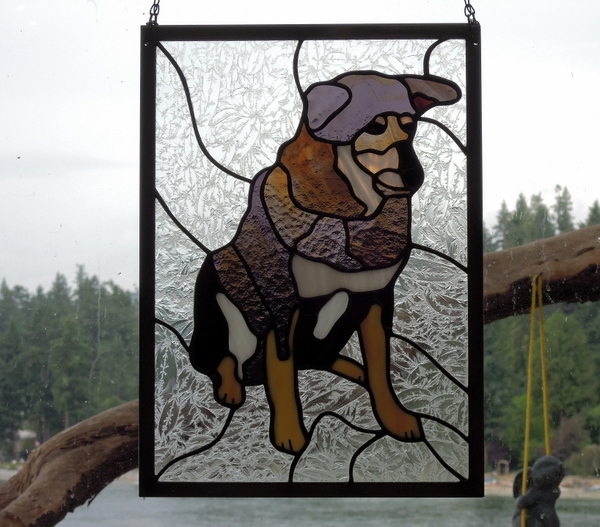 We have a client who is an awesome intarsia woodworker. 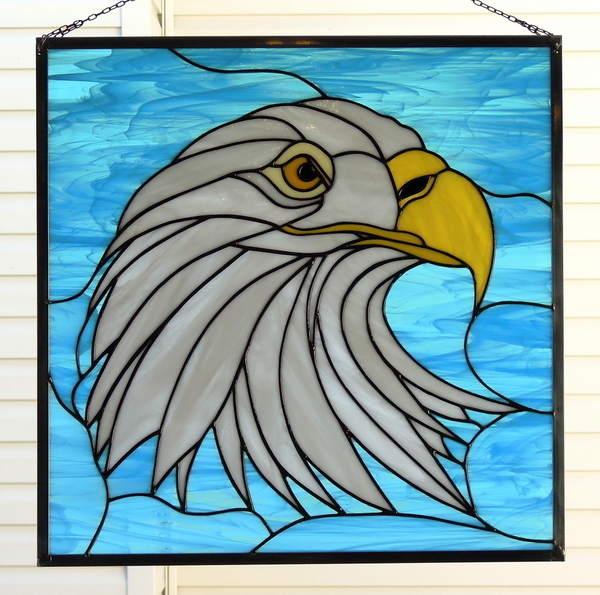 He designed this eagle in wood and wanted to have it transformed into stained glass. In addition he and his wife wanted 2 of them each facing each other for their retreat in the West Country towards the Rocky Mountains in Central Alberta. To facilitate this endeavour we enlisted the services of Paned Expressions Studios in Edgewood Maryland. Martha was quickly able to take the intarsia design pattern from our clients and add in the necessary lines to complete a 20 x 20 inch panel. 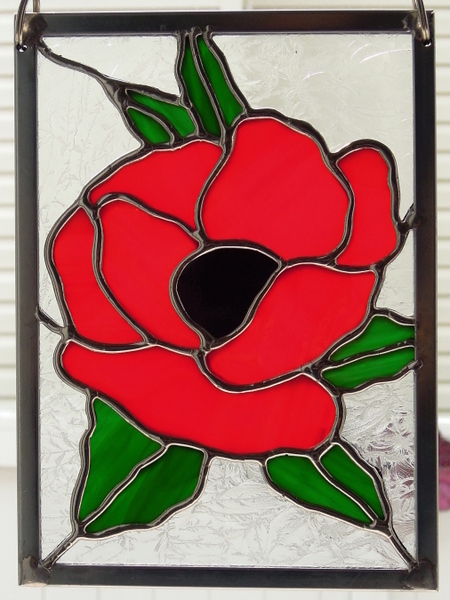 Then using Glass Eye 2000 she reflected the design so as to have another identical design pattern. This is the left side eagle and eventually we will display the remaining right side eagle with more pictures and details. Enjoy the first Eagle has landed.